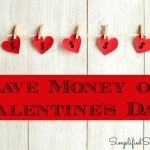 I love crafting and decided I needed to spice up my home with some DIY Valentine Decorations. 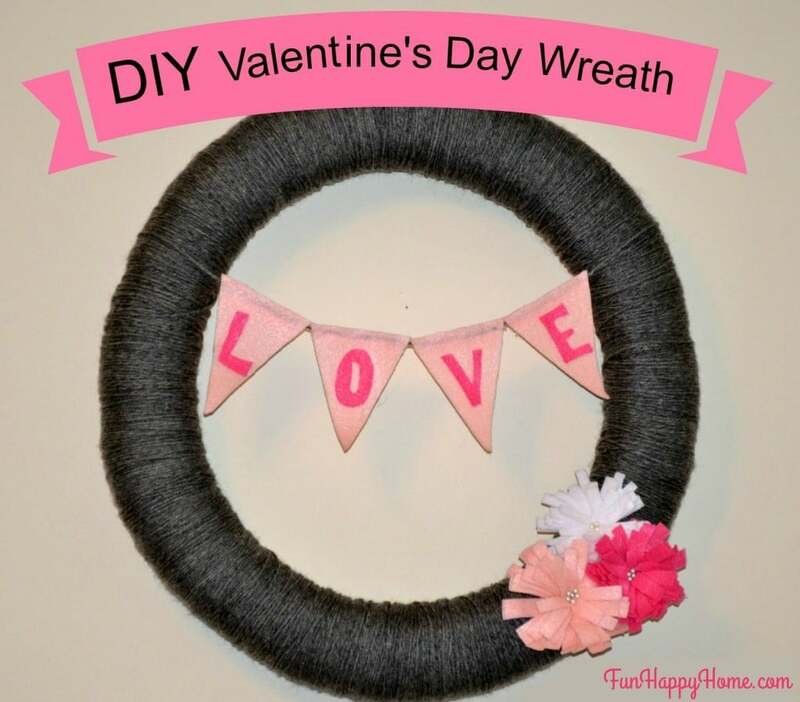 To start with, I made this DIY Valentine Wreath! It was easy to whip up and it turned out sooo cute! Since we didn’t do a whole lot of Christmas decorating around here, I thought I’d make a fun Valentine’s Day wreath to make my house look a little more festive. This wreath is super easy to make and can be customized to fit any holiday. All of my embellishments are pinned on using Pearlized Ball Head Straight Pins. You could also use hot glue or spray adhesive to attach embellishments. 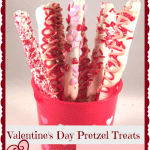 This project is really easy to make. The most time-consuming part is wrapping the wreath. It took me less than an hour to wrap the wreath, but I was listening to an audiobook, so the time flew by. To begin with, spray some adhesive on a small section of your wreath form and wrap the yarn tightly around that section. Continue wrapping the yarn around the wreath. It does not need to be perfectly wrapped as you’ll end up doing about 3 layers of yarn to make it look even. Once your wreath is completely wrapped, you can use more spray adhesive to secure the end of the yarn or you can hot glue it. I used spray adhesive and a pin to secure the end. 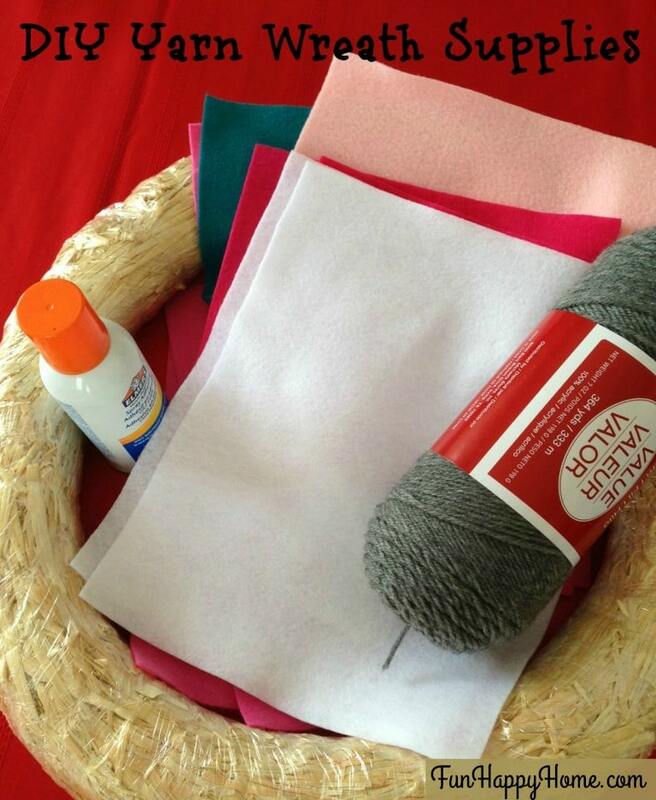 Once your wreath is fully wrapped in yarn, you’re ready to add embellishments. You can make your own flowers out of felt (I’ll do a tutorial soon) or you can purchase pre-made felt flowers. I made my own flowers and attached them using Pearlized Ball Head Straight Pins. The LOVE garland was super easy to make. I used a pink Sharpie to write the word LOVE on pink felt. Then I cut the words out. I also cut triangles out of a lighten color pink felt. If you cut out your letters first, you’ll have a better idea how big you need your triangles to be. I also cut out strips of felt that were the same width as the top of the triangles. (Do NOT attach them as pictured below. I was just laying them out before I glued them. Once I cut out my triangles, I glued the letters to the front of each triangle using hot glue. Then I glued a long piece of gray yarn between the triangles and the small pink felt strips I cut. Once my garland was finished, I simply pinned it onto my wreath and then I hung my wreath! 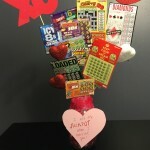 This project is super easy and it can be created in any size and customized to fit the occasion or the recipient! This was originally posted on February 7, 2017. 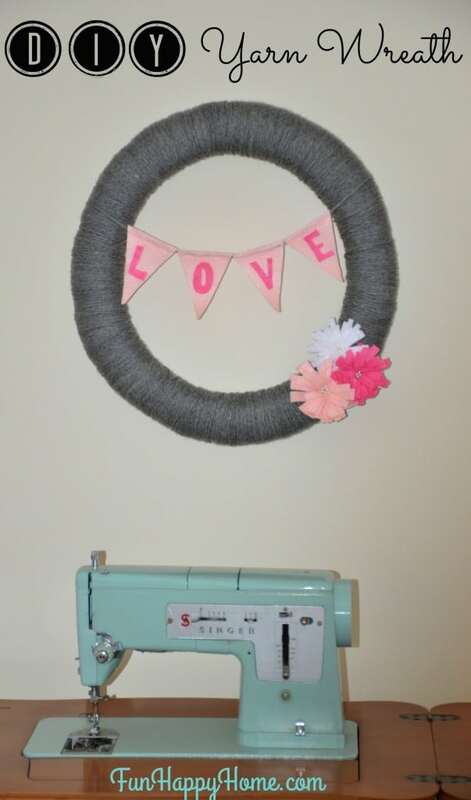 Love this cute and simple decorative wreath! I love decorating for all the holidays. Stopping by from the SITS link up.